We are Bill and Sue Redgrove. 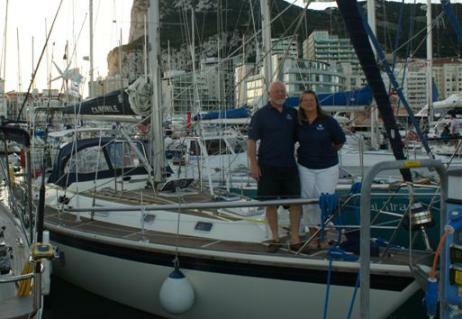 We sail a Westerly Sealord, she was born in 1985 but we have owned her since 1997. She is 11.7m long and is a masthead sloop. We spent 10 years sailing her, improving and updating her equipment, putting around 12,000 miles under her keel before we set out on the big adventure. We sold our house and she is now our home. We have given up our jobs and intend to travel as far as our health and her abilities allow us. We live with low outgoings on a budget that is funded by savings and the rent from our property. We have 2 lovely sons. James lives in Scotland and is studying. Thomas lives in Maidstone and is self employed.